LONDON, April 12 — JSP Records is proud to announce that it will be releasing a 5-CD box set devoted to Judy Garland, entitled JUDY GARLAND: THE GARLAND VARIATIONS – SONGS SHE RECORDED MORE THAN ONCE, in late 2014 or early 2015. Produced by John Stedman and compiled by award-winning Garland historian Lawrence Schulman, the set will for the first time gather songs Garland recorded in the studio on multiple occasions between 1937 and 1962. Placing them back to back, the 115-track 6 ½ hour anthology will highlight songs Garland thought enough of to re-record over her 45-year career. As in past JSP sets devoted to Garland, this one’s creative team will be stellar. Schulman has been responsible for numerous CDs over the past twenty years, including the landmark Lost Tracks (JSP Records, 2010), which included the world première release of Garland’s 1935 Decca test records. He has also written extensively about her for the ARSC Journal. Peter Rynson will be remastering, and Andrew Aitken in charge of design. The box set will also include essays by James Fisher, professor and head of the Theatre Department at the University of North Carolina at Greensboro; Scott Brogan, founder and webmaster of The Judy Room; Christine Andreas, the Broadway and cabaret star who recently played Garland in the theatrical production of Heartbreaker, based on John Meyer’s 1983 memoir; and Laurent Valière, a journalist at Radio France and producer/host of the program 42nd Street. 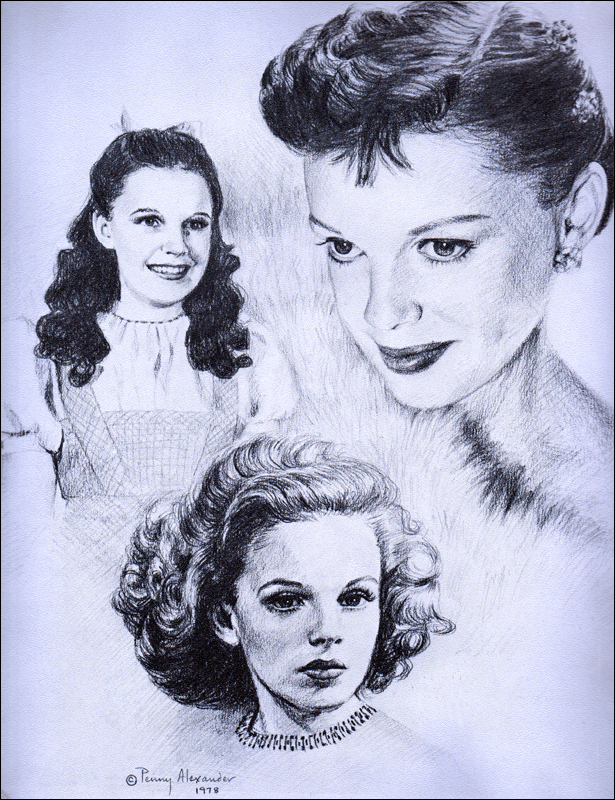 Learn more about all of Judy’s recordings at The Judy Garland Online Discography! I’m not sure I get the point of this release. As one who has collected Garland for decades, it’s difficult to know if any of these recordings would be among those missing in my collection. The set’s target demographic is not so much Garland collectors who have all of her recordings, but rather the general public who would be interested in hearing Judy’s evolution musically speaking. To take but one example, her 1945 “You’ll Never Walk Alone” and her 1960 interpretation of the same song, heard back to back, offer a unique glimpse of how her artistry evolved. Her two versions of “By Myself,” the first done at Capitol in 1957, the second in 1962 for I Could Go On Singing, heard back to back is a magnificent revelation in orchestrations and singing style. The difference between her MGM and Decca recordings of the same song is often minute, but often not, as is the case of her initial 1945 MGM recording of “On the Atcheson, Topeka and the Santa Fe” and her Decca New York session that same year at which she did a lower-keyed “chamber” version of the number. Fascinating listening. No back to back MGM/Decca/Columbia/Capitol set has ever been released, and I thought it was about time. I hope everyone will enjoy it. Last remark: I am proud to have been able to unite such talent for the notes, that is Scott Brogan, James Fisher, Christine Andreas, and Laurent Valière. I really want them to release a compilation of Judy’s work on the radio – the armed forces, Bing Crosby show etc. – I feel this particular area of Judy’s career is largely undiscovered and I would just love to have some sort of collection of these performances. Over the years, there have been numerous CD collections that have featured Judy’s work on the radio. One need only go to The Judy Room Discography to find all these releases. That is not to say that a multi-disc set uniquely devoted to her radio would indeed be welcome. I personally am convinced that there are more radio recordings out there waiting to be issued. Two decades ago, I spent a memorable evening with producer Ron O’Brien and I had the pleasure of listening to many radio appearances Judy made that Ron had transferred to DAT. (digital audio tape). It is to be hoped that this incredible collection, and others, still exists and will one day see the light of day some day soon. Joe Marchese, of the excellent website The Second Disc, published yesterday a glowing review of THE GARLAND VARIATIONS. Enjoy!